The latest local football news. 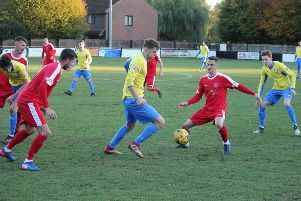 Tring Athletic were disappointed to lose 1-0 away at Colney Heath in a scrappy game on Saturday but are still top of the SSML Premier table with five games to go. It was a horrible game to watch and in reality neither team deserved to win as there were so few scoring chances created at either end. Ultimately, is was a fluke goal that won it for the home side when a miss-hit cross from Danny Fitzgerald somehow found its way into the net after bouncing off the inside of the post and into the goal. A scoreless draw was looking the likely outcome with neither side threatening much around the goal areas but then came the goal out of the blue in the 80th minute to give the home side the lead. There was one last roll of the dice for Athletic when George Ironton went close with a difficult volley, but it was too little too late and Colney for the second week running managed to bloody the nose of a title contender. It perhaps come as no surprise that Athletic came away empty-handed as they have such a poor record at the Recreation Ground, with just five victories from 21 visits. Despite the defeat, Athletic maintained their grip on pole position by virtue of a better goal difference over second-placed Hadley. 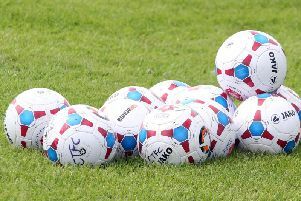 Biggleswade United, in third, are five points adrift of the top spot, but the ones to watch are Biggleswade FC, who despite being six points behind have three crucial games in hand. This Saturday Tring will be hoping to get back to winning ways when they host 16th-placed North Greenford United.